In our Sunday School class for children, we follow a curriculum including week by week topics, scripture readings, biblical stories and art activities. It is divided in to three sections, for the different seasons of the year (Pentecost, Advent and Lent), each focusing on the relation of faith journeys, stories and events from the bible. During special services such as Easter, Christmas Eve and Palm Sunday, the children have the chance to participate and share their gifts of music and reading. Children’s Sunday is held every June where the children and youth prepare and lead the worship service. 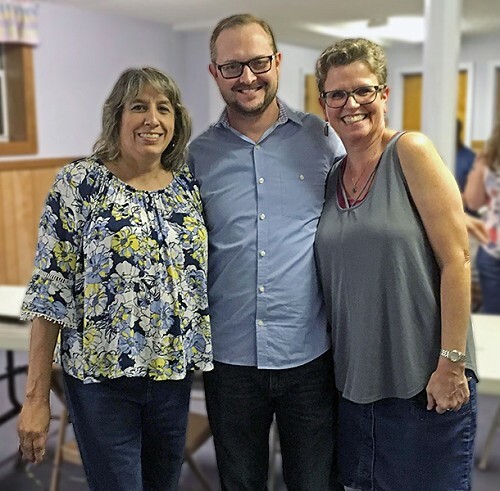 Adult Bible Study is held following Worship Service on Sundays and led by Pastor Claudine and occasionally special guests.